Traditional forms of payments such as credit/debit cards and cash, are being replaced by new methods of payment (like neosurf vouchers). For our rapidly changing societal needs we demand the most safe and secure banking methods as well as those that can be done without much effort. You might say that using cash to pay for a product or service is pretty easy, which is true, but in our “fast-food” culture, even payments need to be quicker. You can either call it innovative or lazy, but the reality is that in the near future we could be almost a completely cashless society. What is UPayCard and what are its benenfits? Many online gambling markets such as Australia and the US are making it difficult to not only play at these casinos but to deposit and withdraw money. There are 2 simple ways in which they do this and one of them is to ban the use of credit/debit cards outright for real money online play. The other is to create a maze of rules and regulations for both the casinos and players, which eventually will make both parties give up. It’s a passive aggressive strategy which has worked in the past and will continue to work in some form. Predictably, when someone builds a better defense, there will always be those who try to overcome this obstacle. Companies such as UPayCard are exploiting the demand for payment methods for casino gamblers, which is one of the largest industries online. With so much money at stake, these money transfer solutions are coming online at an increased rate and seeing a huge demand for their product. UPayCard, a company from the UK, is available to both individuals and companies and touts its safe and secure transactions as well as its many uses. These include crypto-wallets, e-wallets, prepaid cards as well as bank wire transfers. You can receive a physical card for brick and mortar stores as well as using these for online transactions, both of which can be issued for corporate or individual use. One of the reasons for which I like the UPayCard is the well-designed website as well as the clear and concise information they provide. Many of these payment methods include restrictions on transfers, payments and withdrawals. 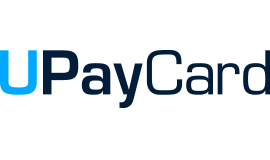 The UPayCard website provides all the information a customer may need as well as the details of what the fees will be for all your transactions. Many other of these so called “payment solutions” include hidden fees which in many cases can increase the amount of any transaction, whether it be a payment or withdrawal, up to 10% or more. What is the benefit of UPayCard for Australian Online Casinos? As discussed earlier, online casinos are coming under more and more scrutiny and must constantly evaluate the payment methods which are accepted. 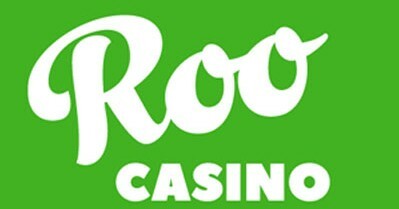 Many of the online casinos offer free pokies and slots, as well as other casino games, but they only make money when the player registers, makes a deposit and starts playing with real money. Players who win desire a problem free withdrawal process and are always leery when in becomes difficult to access their winnings. Casinos can and will lose online players specifically for this reason. Methods such as UPayCard do make it easier for these transactions and are always searching for opportunities in various markets. Australia has become lucrative market for them, especially with the government regulating online gambling to the point of extinction. Australia which has a vibrant gambling industry and eager players, offers some of the top online casinos in the business as well as throughout the world. Casinos such as Fair GO which is one of the top online casinos in Australia offers UPayCard as an option for real money play. With UPayCard being new to the market, it will be only a matter of time before this banking option is offered at the other casinos. Confidence in any online financial transaction is essential and when the stakes are as high as they are with online gambling, it is important to have a secure payment system which both the players and the casino trusts. UPayCard is the payment system which should be a part of your gambling portfolio in Australia and elsewhere. Enjoy your real money play and please gamble responsibly!